Aluminum is one of the most used metals in the world, along with iron, tin and copper. It’s a cornerstone of so many goods and industrial applications, and it’s easy to see why. It’s lightweight with a density far lower than a lot of its counter parts. It’s durable and a great conductor for both heat and electricity. It also has multiple alloys that can be given very specific properties. Developers of aluminum alloys have revolutionized the art of mixing it with other elements and improving the properties of the end material. 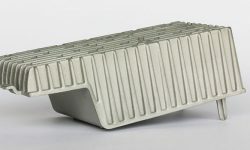 Usually, the aim is to improve the strength while retaining the desirable properties of aluminum, most notably its lightness and corrosion resistance. However, it can be daunting to keep track of all the various alloys, so hopefully this guide can prove to be useful in briefly explaining the basic ones, their elemental make-up and their uses. Relatively pure aluminum has a range of uses that are hard to narrow down. The 1000 series, for example, has a minimum content of 99%. This high purity produces quite a few interesting uses like conductors. As a conductor it can be a good alternative to copper even for industrial wiring, particularly the 1350. The main advantage over copper is weight, making it ideal for a lot of power lines. However, the downside of the series is its relative strength, although this can be remedied with the use of coating or strain hardening. Still, the applications of the 1000 alloys are much more diverse due to its malleability. It is also the source of aluminum foil and food packaging (usually the 1100) due its corrosion resistance and ability to block out odors, smells and moisture. However, the 1000 series is no slouch in harder more intense applications. The addition of a bit of magnesium and lithium (among other metals depending on the strain) makes it a competent aerospace component, much like its sister alloys in the higher number series’. The 2000 and 3000 series also stay above the 90% range, though they provide vastly different uses. Copper is the main alloying element for the former, while manganese is the most crucial for the latter. The 2000 alloys have good strength and toughness so they make for great for aircraft (2024 especially). 3003 is a popular alloy for general purpose due to it moderate strength and high propensity for workability. Its applications include heat exchangers and cooking utensils. Alloy 3004 and its modifications are used in the bodies of soda cans. The 4000 series alloys feature silicon as the core ingredient. Sufficient quantities of this mixture lower the melting point of aluminum, but have the distinct advantage of avoiding brittleness. The series has great potential in welding wire and brazing alloys, which require lower melting points. 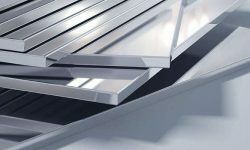 These are great for cladding, extrusion and architectural constructions. Magnesium and various compounds featuring it are the most widely used materials to go in aluminum alloys. This is one of the reasons it produces such varying effects. Certain alloys in the 5000 series are not good for high temperatures, such as 5083 (with manganese and chromium), while others like the 5086 are great for welding. Both of the aforementioned alloys are used in conjunction with each other for sea vessels. 5052 is heavily featured in electronics, anodized 5005 sheet for architectural applications and 5182 makes the aluminum beverage can lid. The 6000 series is harder and tougher as an aluminum alloy, yet still lightweight in comparison with the competition. Used in everything from ladders to airplane and truck frames to aerospace applications and even smartphones. The 6000 is even a great source of domestic and office furniture. This alloy has certain quantities of magnesium and silicon in it, forming magnesium silicide. It is most common material for extrusion and CNC machining. Similarly, the 7000 series (particularly the 7050 and 7075) are the most widely used alloys in the aircraft industry. Materials in this series are highly strong and heat-treatable, so it’s no wonder they make for good flying companions. The addition of zinc makes it stronger, yet less weld-able. These particular alloys can be precipitation hardened to become the strongest of any of the aluminum series’. The 8000 series is reliant on iron, allowing it to present a combination of properties similar to 1000 series alloys but with higher strength, better formability, and improved stiffness. 8000 series alloys are usually suitable for thinner gauge applications. It also makes adhesive bonding possible. These properties make it useful for hard frames and containers with 8019 is used for aerospace applications and 8090 being used for cryogenics. 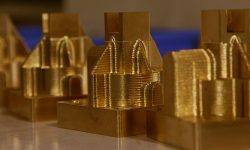 CNC Milling Materials: What Are They & Which Should You Choose for Your Application?